Sweet corn, native corn...it's all in season now! 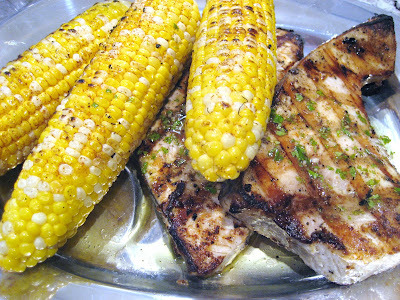 If you haven't made grilled corn before, you must give this a try. The first time I made it, I couldn't believe it. Grilling corn takes corn to another level. It can be so simple to do but it can also come out dry or too charred. I'm looking for the corn to be juicy, slight charred with a smokey flavor from the grill and with a rich taste of melted butter and salt with a subtle spicy kick thrown in. If you try my method of microwaving the corn first for just a few minutes and than finish the cooking on the grill, it will come out perfect! 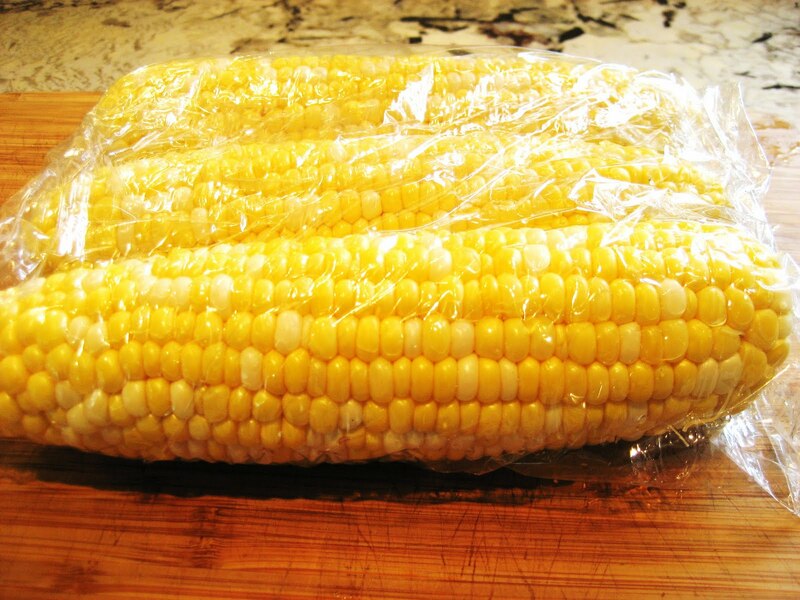 Wrap the ears of corn loosely in plastic wrap or put into a large zip lock bag with a sprinkle of water and cook in the microwave on a high heat for 3 minutes. Spread softened butter all over the cooled corn and sprinkle with salt and lightly sprinkle a little chili powder (optional) and paprika all over. Grill over medium high heat, turning every 1-2 minutes until browned about 5 minutes total. Cook the corn in the microwave first to allow for perfect grilled corn. Serve hot off the grill and enjoy!